If for nothing else than just parachuting down with 99 other people Fortnite Battle Royale rounds out our list as a game we would love to see in VR. From building, to shooting, to hiding your way into the top 10, the cartoony Fortnite world would be an absolute delight to experience in VR. The PVE Save the World mode wouldn’t be half bad either. Fighting off wave after wave of cartoon zombies would be thrilling, and just the right amount of scary. That does it for our list of games we want to experience in VR! What other games do you want to see in VR? Do you think any games wouldn't work in VR? Let us know in the comments below and be sure to stick around GameSkinny for more lists, guides, and news about your favorite games! I haven't met a single person who doesn't like Mario Kart. It's easy to get the hang of, and you always feel like you have a chance to win the race. The levels are also delightful to drive through. I know, I know there’s already that Tokyo arcade that offers the VR Mario Kart experience, but if there could be a way for the common gamer to play Mario Kart 8 Deluxe from the comfort of their own home, it would dominate the VR market. Fans would come in droves to VR to play this game, if only because nailing your friends with a green shell would never be more satisfying. This one might turn your stomach, but from the first inklings of VR, Portal was part of the discussion. This 3D puzzler that redefined the way we think about puzzles would be a natural for VR. Imagine going through a level and hearing someone like GLaDOS talking behind us or above us (which would be a great game to take advantage of sound in a 3D space) and trying to get under our skin as we try to beat a level.While we have Portal Stories: Mel, it’s not the same as the mainline, genuine Portal experience. We want to blast our portal guns and travel through disorienting dimensions and vomit-inducing infinite loops! If any FPS would work well in virtual reality, Overwatch would. The gameplay is already favorable to VR: each character only has a few abilities to master, while movement is easy to master for most characters. As long as we had great wireless VR technology, so we wouldn’t trip all over ourselves, this arena shooter would be a fantastic way to spend a quick hour in VR. Players would get an opportunity to really challenge themselves against others and have a whole new way to compete with one another. Overwatch also has tremendous lore around it that people are in love with. Being able to go into a world you love and see your favorite characters (I'm looking at you Mei and Winston) would go a long way in bringing people real joy. So many fantasy and sci-fi novels talk about being transported into virtual worlds and going on adventures with friends. When World of Warcraft came out in 2004 it was the virtual world everybody had been waiting for. Now that we have the technology WoW VR would be the epitome of virtual reality experiences if done right. Just imagine being transported into a fantastical world and cooperating with 24 other people to take down a dragon 30 times bigger than you. It would bring a whole new meaning to the term heroic mode. If any MMORPG should be made into VR it's this one. Let’s face: it snowboarding and skiing in real life can be scary and downright dangerous for the inexperienced, not to mention relatively expensive. We're not all capable of going to the Olympics like Lindsey Vonn or Shaun White. Fortunately for us who are more risk-averse, but still love snow, Steep captures all that fun and excitement, without any actual risk of bodily harm. If we could be instantly transported to the peak of Denali and go for a high adrenaline race down the slopes in virtual reality, how could we possibly resist that temptation? Steep is highly acclaimed for how beautiful it looks, and in VR , I imagine we'd all be wondering why we can't see our breath while we trick our brains into feeling chilly. Ever wonder who would win a fight between a knight, a viking, and a samurai? If so, then this game is for you (and it probably still is, even if you never wondered). While it has its fair share of issues, like connectivity and microtransactions, For Honor has a very rewarding fighting system. If the game solved all of its issues and came out on VR, it would be a truly great experience. Who doesn’t want to grab the nearest sword and beat up on any unfortunate soul who dares come near them? The 3D environments in the game would be especially great to experience in VR, combat would bring entirely new challenges, it would be a great workout, and the arenas are small enough to traverse easily. There's almost no reason why this shouldn't work as a VR game. Horizon: Zero Dawn is breathtakingly beautiful. This action RPG features hunting, stealth, and a fantastic story, not to mention the landscapes in HZD are tremendous. Being able to experience that world in VR would make your jaw hit the floor. You would practically be able to feel the tall imaginary grasses while stalking your prey as Aloy. Imagine drawing back your bow and letting loose an arrow to see a monster fall before you. It's the thrill of the hunt -- except nobody actually has to get hurt. Which is good, since those machine monsters would probably be even more terrifying in VR. Overcooked is fun, hectic, and easy to pick up. It's a game where friends work together in a restaurant to get out as many orders as quickly as possible (think diner dash done even better). Its simple controls make it a great candidate for VR. This co-op frenzy would guarantee laughs, as you see your friends bumble around while you try to get those meals out on time. So it's easy to speculate that being inside a crazy kitchen like the kitchens in Overcooked would lead to even bigger laughs then the game already produces in groups of friends. And of course, the best part is there's no risk of actually cutting yourself with that kitchen knife! 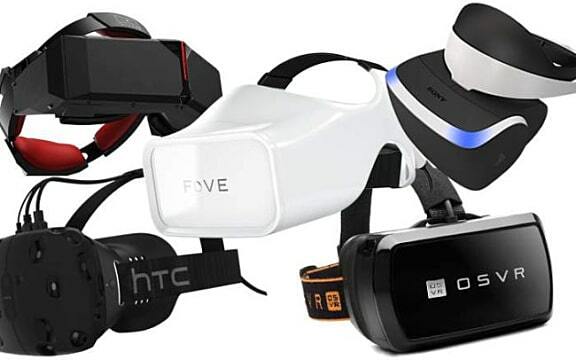 VR technology has been improving steadily, and dedicated VR gamers are always hoping for the next great experience. Virtual reality offers people the opportunity to immerse themselves into fantastic worlds and challenge their brains and bodies in new and exciting ways. 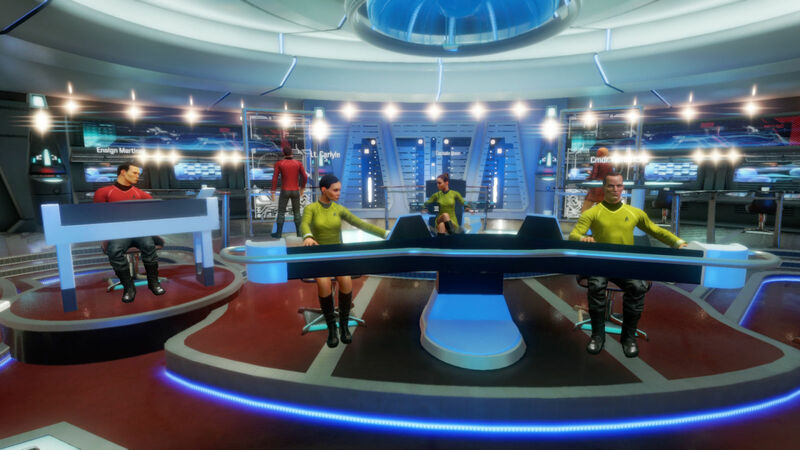 The technology for virtual reality gaming is quickly improving, and after titles like Doom and Star Trek: Bridge Crew came to VR, the platform looks more promising than ever for gamers. To prepare for that glorious future, here are a few more games we hope to one day experience in VR. With the Nintendo Switch presentation exciting long-time fans and newcomers alike, it is only natural for developers to display their content for the upcoming system. And Ubisoft has currently announced 3 games coming to the Nintendo Switch: Just Dance 2017, Steep, and Rayman Legends Definitive Edition. 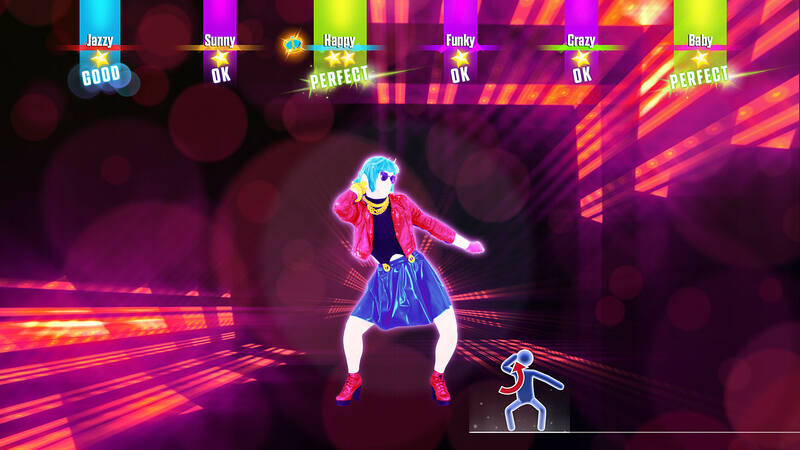 Just Dance 2017 will be released at the Switch's launch, with the dance track "How Deep Is Your Love" by Calving Harris & Disciples being a Switch exclusive. Steep is an open-world extreme sports game in which you experience the fantasy of being a daredevil, taking great risks for a higher score. Rayman Legends Definitive Edition is a re-release of the critically acclaimed Rayman Legends. 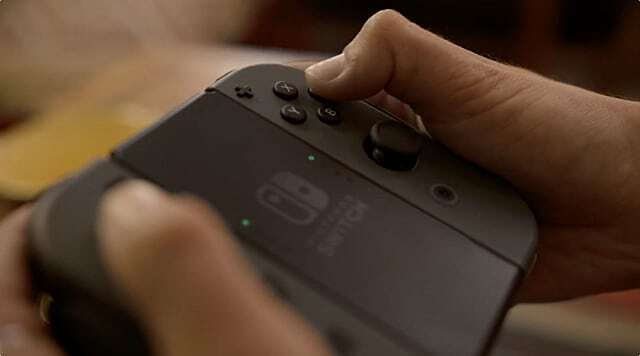 "We’re proud to be working closely with Nintendo on this new console, making sure players can enjoy great games on a device that shares the same philosophy these games: great accessibility and the ability to bring people together." The Nintendo Switch will be coming to store shelves March 3rd at $299 a piece. Stay tuned for more Switch and Ubisoft News. Steep offers something completely different than most modern games. 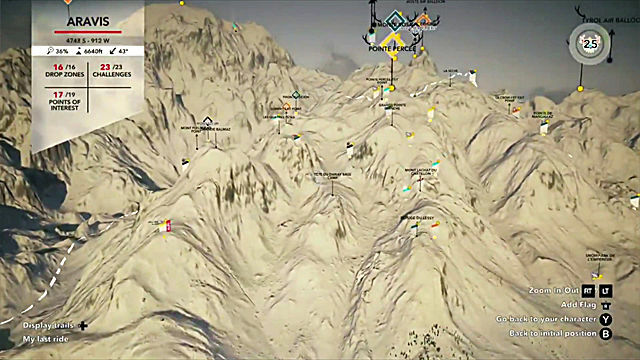 This is the game for fans of extreme sports, such as snowboarding, skiing, paragliding and wingsuiting. Ittakes place in the Alps mountain region -- an area located at the intersection of Italy, Switzerland, France and Austria. Steep is an open-world game, and there are lots of different activities you can take part in. This guide is dedicated to helping you get into this amazing environment as quickly as possible, since the game itself is not very good at explaining what exactly you have to do. Exploration is the key element of this game -- so if you want to explore as much of this open world as possible, you have to unlock the Drop Zones. When you unlock Drop Zones, you can freely spawn between them instead of covering huge distances over again. First, open your map and look for areas with white stripes on them -- these will indicate the general location of the Drop Zone. Then, move closer to the area and after the “New Drop Zone Detected” prompt pops up, use the Mountain View to locate the exact spot. Finally, in order to unlock a Drop Zone you need to use your Binoculars. Binoculars are one of your most important tools. They can be used for many other things apart from unlocking Drop Zones. 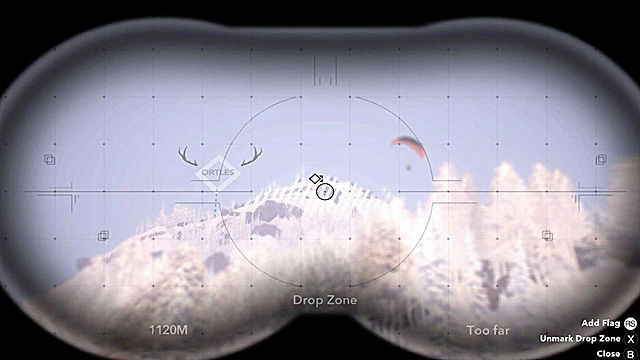 Look through Binoculars to detect all the events that are active at the Point of Interest on the map. Binoculars can be used to spot new Challenges. If you beat them, you can challenge your friends online and climb ranks on the leaderboards. When your friends agree to the challenge, you can spectate them through the Binoculars. The last but not least, you can use Binoculars to set up the route that will eventually help you beat a challenge. Mountain View is an exceptionally useful mode in Steep. In addition to allowing you to spawn on top of the mountains, it can greatly improve your skills, if you know how to use it right. If you’re having trouble deciding how to pass through certain complicated areas, the Mountain View can give you a wide view from above. You can set flags/markers on the spots you consider to be the most efficient for your ride. Mountain View can be also used to record and replay your run with an ability to make screenshots and post them online. You can create your own Challenges with the help of Mountain View, and then offer your buddies to join you. 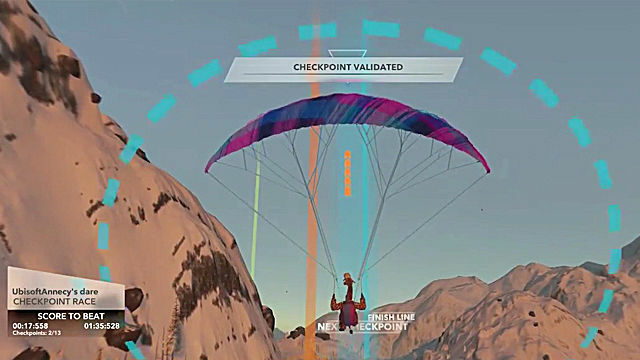 Paragliding is probably the most difficult kind of sport represented in Steep. However, it is absolutely essential for exploration and discovering new Points of Interest. The momentum is what drives paragliding in Steep. If you start jamming buttons, it will ruin your momentum, and you will lose your speed. Wind is your best friend here. If the wind is too strong (usually at open areas), then you will quickly lose your track. Try to paraglide beside the mountains and cliffs -- this is where the wind speed is most optimal. Try to catch upward swings in order to get to the highest Points of Interest. Usually, these are really hard to get on foot or just simply impossible, so in this case, paragliding would be your only choice. Trick System has been introduced in the very first snowboarding game by Ubisoft -- SSX. As you see, it was so successful that it had to be implemented in Steep, as well. The Trick System allows players to earn points and medals for excellent performances. Every trick requires you to jump in one way or another, so your main course here is to prepare the jump with the Right Trigger and let it go exactly before the jump. When in air you can perform all kinds of rotations -- in this case you need to use the Sticks’ axis on your controller (Up, Down, left, Right or Diagonal). Now, if you want to grab your board in the air, you need to use the Left Trigger for your left hand and the Right Trigger for your right one. Additionally, while grabbing the board you can rotate the Right Stick and add even more style to your tricks. If you meet somebody during your gameplay that you would like to group up with, then you can press X/Square/G to send a friendly prompt. As soon as the other player does the same, you will be listed as the members of the same group. You can choose to spawn right near your friend on the world map, which is very convenient, when it comes to quick challenges. Voice chat and emote system are available as well through the Social Menu. Finally, you can share your Mountain View, record the challenges or spectate each other. This should do for the beginning. Later on you will discover various playstyles and advanced tricks that can earn you gold medals. But for now you should learn the basics and enjoy the ride. Come back soon for more Steep guides at GameSkinny! In 1998 Nintendo developed an extreme sports snowboard racing game titled 1080 for the N64. This became one of the first and best sports and racing games of its time with the highest graphics provided on the N64. 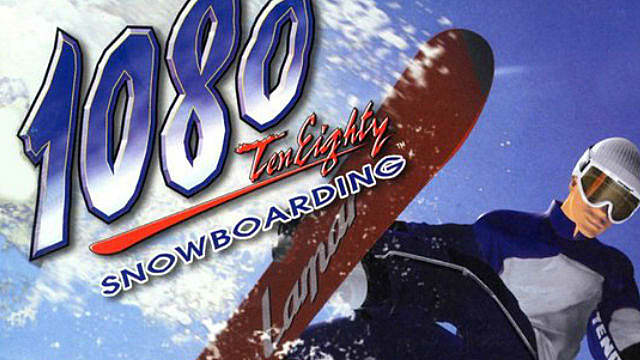 IGN simply called it "The most beautiful snowboarding game ever created. Nothing compares --- nothing." It received critical acclaim and won an 1999 Console Sports Game of the Year from the Academy of Interactive Arts and Sciences and an 88/100 from Metacritic. 1080 had everything previous racing games had been lacking, realism. You actually got the sense of speed with the wind ripping past you and the sun reflecting off of the snow. The gameplay is no easy feat either, if you don't control your tricks precisely, you'll crash and have to start over. Needless to say, it was an early sports game that had a huge level of difficulty no one had seen yet. 10 years later, fans of the N64 game were able to take a trip down memory lane as Nintendo released an updated version on the Wii's Virtual Console service. Just as the old Mario and Crash Bandicoot games, the 1080 re-release gives you the feeling of nostalgia, no matter how lack the graphics are 18 years later. 1080 was so ahead of its time, it took developers years to create a decent competitor. Then comes the SSX franchise. From EA Sports, SSX has similar play style from 1080 but with more of a focus on tricks. It had brilliant graphics (for the PS2 at the time) and the original title received an astounding 93/100 on Metacritic. 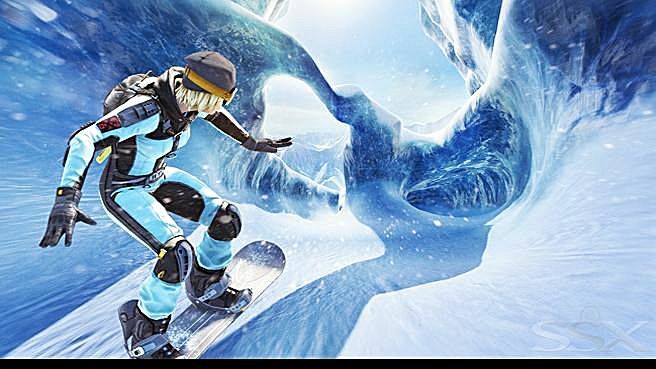 EA released multiple titles in the SSX series up to 2012 with the latest being a reboot from the original 12 year prior. The major difference from the latest SSX is that it included a story along with the classic racing and tricks. 1080 and the SSX series were both revolutionary at the time of their release. When fans heard of Ubisoft creating a new snowboarding game, Steep, the world hoped for a modern-day SSX, but it wasn't necessarily delivered as such. 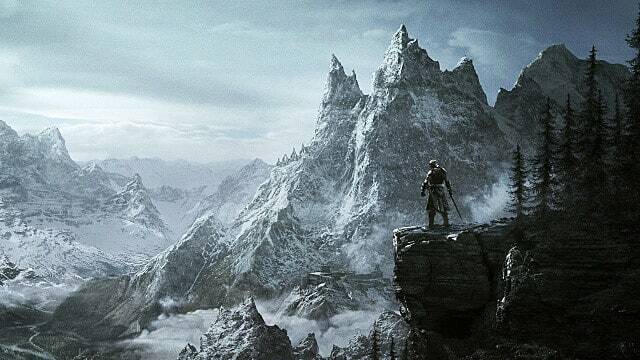 In this generation every game is all about open world, so Steep caters to that with the game being set in the Alps and being a completely open world for players to explore. Steep isn't only limited to snowboarding either, to travel to different locations or to knock out different challenges it includes skiing, wing suit flying and paragliding. Steep is also heavily focused on their online features, implementing abilities to share clips of epic tricks and challenging your friends. Although it's four years old SSX is probably the closest any game will get to being as good as 1080. If you're hoping for more modern style SSX, EA games have confirmed they'll be releasing a remastered 20th anniversary edition in 2020. As for Steep, while it does modernise the genre with the online play, and track sharing -- not the mention the the graphics and animation -- it just doesn't have the style 1080 has; Steep lacks the feeling of motion, and attachment to the ground that 1080 had. Meaning, snowboard racing fans are once again having to look back to it to get their snow racing fix. This all means that there is yet to be game to live up to the highs of 1080, and the likelihood of any game matching it is low; especially considering the demand for snowboarding games has plummeted. 1080 you are the best of the best, and have proven that even after 16 years you are still on top. Steep has got the step it up. And here is something completely new for you -- Steep, a fresh snowboarding title from Ubisoft. Currently, the game is being tested in a beta stage, and will be officially released on December 2, 2016. Steep is an extreme sports game set in an open world with a strong multiplayer component. This new approach will allow players from all over the globe to inhabit the same open locations engaging in various sports activities simultaneously. 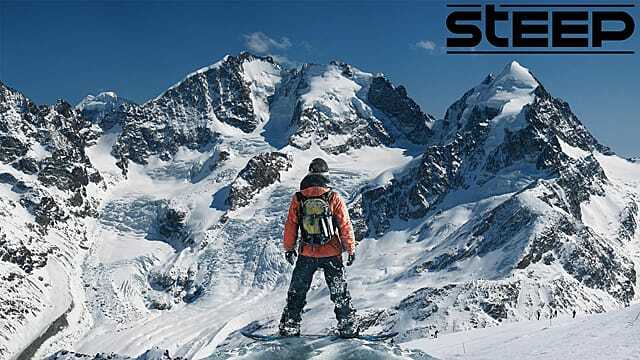 The most interesting aspect of Steep is the match recording system that will allow you to replay your activities, make screenshots and even share players’ experience data over social networks. 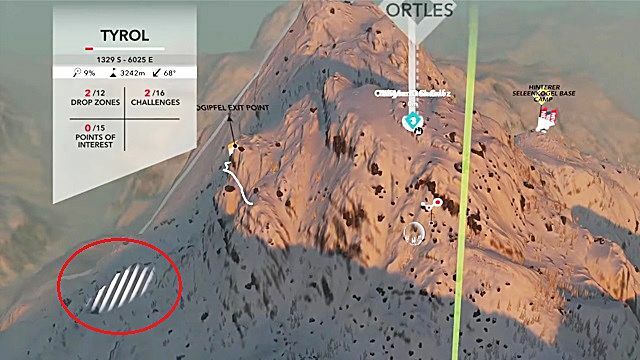 A few older mechanics, such as the tricks system, also make a comeback, including the famous Alaska track that is such a fantastic winter location, so if you have been a fan of the SSX series before, you should definitely check out this new game from Ubisoft. What other winter-themed video games would you like to see mentioned? Share them in the comments section. Gotham is almost exclusively depicted as this very dark and gloomy city, and even winter holidays bring no joy to its citizens that are being constantly terrorized by a bunch of maniacs. This kind of atmosphere perfectly fits the series of games about Batman. Of all other games in the DC lineup, Arkham Origins has one of the most fascinating winters. This was possible due to the APEX Turbulence technology, that allows some truly innovative weather effects, especially snow, to be created. Although, Origins is considered to be the weakest game in the Arkham series, it is still pretty solid, so give it a go. If you’ve never heard of Icewind Dale, then think of it as a clone of Baldur’s Gate that is set amidst a frozen world. This is a classical RPG game that tells a story of a few wanderers trying to get into the very heart of winter in order to fight an Ice Dragon. On top of the really snowy and icy locations you get to see a number of typical towns and taverns that accommodate groups of drunken elves. Icewind Dale: Heart of Winter, despite its cold title, is actually a very heartwarming expansion that will keep you engaged during these long winter nights. This cult adventure game from the Belgian comic book writer Benoit Sokal is preparing to become a trilogy. So before the third installment of the series gets an official release, this winter would be an excellent time to replay the first two parts. Both games take you to the coldest part of the world -- the Russian Syberia, full of icy caves and wild forests. Syberia has a fantastic story taking place in the bizarre world of automata with its own peculiar atmosphere. Lately the game has become available for mobile devices, so you don’t even have to access your PC or console to play this great game. Fahrenheit from Quantic Dream is a very unusual game made in a classical noir style, and takes place in the snowy New York City. If you like the atmosphere of Max Payne, then you will definitely enjoy the world of Fahrenheit, as they are almost identical. The city is a freezing hell that almost feels post-apocalyptic, but that's just the initial feeling of the severe New York winter. This was the second attempt of David Cage in creating a cinematic video game that had the potential to revolutionize the stale industry, in which it did succeed to a certain extent. On the other hand, if you can’t stand the outdated graphics, then check out the remastered version that has significantly improved the visual side of this great game. Everybody knows what Skyrim is and what it can offer. This game probably has the most furious snowstorms of them all. If you want to experience a true Skyrim winter, all you need to do is get up as high as the highest peaks and watch heavy clouds shower everything around with thick layers of snow. It always looks amazing and if you do become tired of the fury of the Skyrim winter, you can always go back down into the sunny valleys. That’s the beauty of this game -- the world is so vast that you can never actually get bored of it. Snow storm, steamy pipes, fire, explosions, bullets in slow motion -- all this is Max Payne, one of the best action games ever created. The setting and the story made this title into one of the most beloved among the gamers. If you have an opportunity to replay the very first Max Payne, then do so. The graphics may look a bit outdated today, but hopefully, the sense of nostalgia will help you see right through those flaws, which mind you, weren’t flaws at all, when the game was released back in 2001. The horror genre has always been more about a good story rather than scary monsters. Until Dawn is that kind of game -- it knows how to scare, and all the events take place in a remote snowy area. Setting the events of the game during winter time was a proper decision, since it's much harder to run away from a maniac-killer through the thick of the snow-covered forest. The game is very cinematic and the camera explores areas just as if it was a movie. The motion capture is one of the best you will ever see, and the actors are actually doing a great job expressing their emotions. The level of interactive drama is always high and it makes up for one of the best games in the recent years. If you don’t like to play sports video games, then here is something you might like more. I am Setsuna is an original IP from Square Enix’ Tokyo RPG Factory branch, that was created to revive the classical JRPG style of games. If you liked Chrono Trigger, then you will definitely enjoy I am Setsuna. The game looks very cute and charming and the perpetual winter environment perfectly underlines the story. Almost all locations are generously covered with the fluffiest snow, and you can almost feel the cool breeze coming from your monitor. The combat utilizes an Active Time Battle system that so many RPG fans have been craving to see in the recent titles. This is a rare gem that respects the origins of the genre and should not be missed. 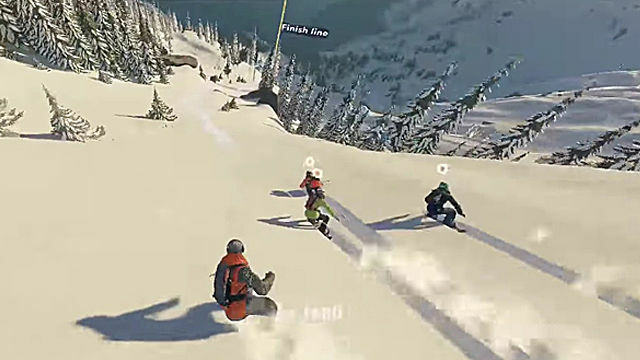 The famous snowboarding series was rebooted in 2012 and featured real locations instead of the fictional ones from the previous games. One of the best tracks is obviously Alaska -- the kingdom of winter that is perfect for snowboarding challenges. One thing you immediately notice when playing the new SSX is the vastly improved physics of movements. If this game will ever be available for VR, we all ought to try this out -- it would simply be amazing. However, even on the typical TV screen the game looks and feels astonishing. Every location has lots of secret tracks and you also have access to some great snowboarding equipment. For example, you can wear a special body armor that protects your character from the rocks and trees; the coolest of them must be the wingsuit that allows you to cover huge gaps in the air; etc. All in all, SSX managed to reinvent itself in this new reboot and you should check it out this winter. Now is the best time to remember the best snowboarding game of all time -- SSX Tricky. This was a special game that was available on PlayStation 2, GameCube and Xbox consoles and garnered universal acclaim on all these platforms. SSX Tricky was a sequel to the first SSX game, which added a system of Uber moves that could be performed during a boarding match. If you managed to perform six consecutive Uber moves, then you would be given an infinite boost until the end of the match. This mechanics were so interactive and fun that it couldn’t possibly be topped by any other game in the same genre. On top of that you get to see some incredibly designed tracks covered with ice and snow that turn the game into a true winter sports experience. If you can’t find a way to play this game today, then head to the next slide for a reboot of the SSX series. Video games can do anything -- they can transport you to the times and places that are out of reach in real life. Soon the winter holidays begin, and many gamers wish to experience that special winter chill without leaving their homes. It’s not too difficult to recreate weather effects in the game, but only a handful actually managed to create a proper winter atmosphere. Here are some of the best games that will immerse you into the coldest season of the year, and make your holidays much more enjoyable. 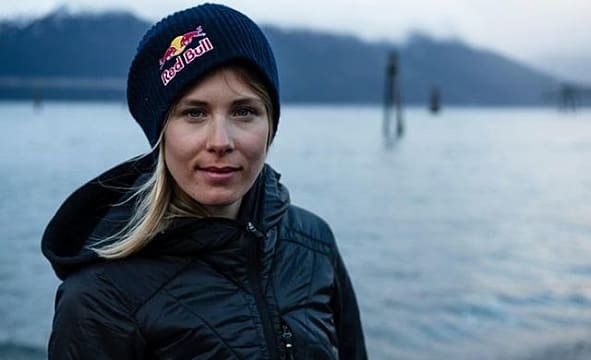 Matilda Rapaport, a 30-year-old professional skier from Sweden, passed away a few days ago after suffering injuries sustained during an avalanche while filming in Chile. 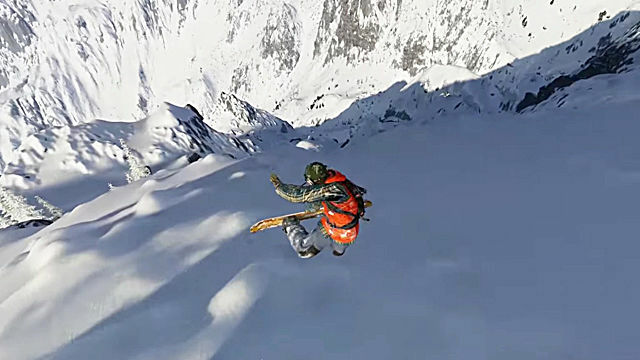 Rapaport was shooting promotional material for Ubisoft's new extreme sports game, Steep. The accident occurred outside of the resort town Farrelones, where a large snowstorm swept through the region last Thursday. Rapaport was in a coma for a week before she passed away due to lack of oxygen and brain damage. Rapaport's death has been a heavy blow to the skiing community. Amid recent discussions about the increased risks that extreme skiers are taking in order to further their sport, a mishap like Rapaport's is surely hard to face. Only a few months ago Powder Magazine, a skiing publication, released an article which interviewed extreme skiers about the dangers of the sport. Rapaport appeared on the cover of that issue. Last month gamers waited in anticipation for the E3 Press Conferences to wow us with what they have cooking. There were some solid presentations but also some cringe moments along the way. So basically it was the norm for E3. Naturally, from forums to the live Twitch chat, there always seems to be a tremendous amount of competition between gamers who prefer different consoles. Sometimes it’s nice to see fellow gamers sticking up for their preferred systems but more often than not there are forms of bias, harsh words and annoying spammers present as well. For this set of E3 Evaluations, the plan is to comment and judge on the content and overall tone of the press conferences. Did they impress gamers and give their loyal fans something to look forward to or did they drop the ball this year? So without further ado, we ahead to the middle of the pack with Ubisoft. It’s been a while since I posted my last E3 Evaluation and truth be told this press conference is partially responsible for that. Ubisoft’s press conference was easily the longest of those at E3 but that isn’t necessarily a good thing. As always, the energetic and charismatic Aisha Tyler hosted the conference and her energy and hosting experience did help move the conference along but it wasn’t quite enough. The opening with colorful dancers trying to get the audience hyped to Queen’s iconic “Don’t Stop Me Now” in the style of Just Dance was just a little too cheesy but did make it memorable. The show lasted about two hours, maybe a little bit more and made a consistent effort at being zany, colorful and energetic but those efforts took away from the overall presentation. That isn’t to say that the presentation wasn’t ever enjoyable. This year there weren’t that many shooters present in Ubisoft’s lineup but what they had were interesting. Ghost Recon Wildlands had a decent trailer. There seemed to be a huge variety of actions and travel available to players such as flying a helicopter and stealing motorcycles. The presentation during the trailer featured multiple players but the shifts in the different perspectives of the players was very jarring. Naturally Ubisoft covered the upcoming content ready for The Division. Its presentation this year was a little lackluster, the game itself didn’t exactly get the best reviews on release and the audience’s enthusiasm seemed to reflect that. The expansion for the game titled Underground adds a new area to the game and there was a lot of time devoted to the free costumes and survival mode which felt rather awkward. Even with the clumsy vibe it seems that this expansion will have a form of “infinite replayability” so fans of the game will have something to be interested in. Movies, Sieges and Snowboarding, Oh My! There were plenty of games that that had both had the audience and myself interested. South Park: The Fractured But Whole has a fancy title but it seems to be a solid sequel the its predecessor. It seems that the comedy is focused on superheroes (and of course Marvel) and the battle system, environment and plot will be fresh and new in its own way. For Honor was a huge highlight of the conference with a fantastic trailer followed by some solid looking gameplay. It seems to bring the player through the entire siege process grappling up walls and fighting swarms of enemies. It looks gorgeous and has a unique style of fighting that feels natural and smooth. As Aisha said during the conference it wouldn’t be an Ubisoft presentation without some Assassin’s Creed, of course this year the focus was on the upcoming film starring Michael Fassbender. The clips and trailer shown at E3 made the film look like something that fans may enjoy. It’s too soon to say for sure. This year's E3 had plenty of VR content spanning over multiple conferences and platforms, not surprisingly as it is supposed to be the next step in gaming technology. Ubisoft had a bit of VR covered in its conference in the form of two specific games. Eagle Flight is an interesting concept with its use of players taking up the perspective of eagles in a post-apocalyptic Paris. The presentation was okay, the live narration seemed a bit awkward and clunky. For those Star Trek fans out there it seems that Star Trek VR is LeVar Burton approved. The game looks like it has potential as it designates a specific role for each of the players in the game. The visuals appeared to be a bit awkward from the small snippets of actual gameplay shown. Still for those who’ve always dreamed of being on the deck of the Enterprise this might be just what you’ve always wanted. The last two games making up the conference were strong but announcements felt like they both went on a little too long. Watch Dogs 2 made a solid impression as it seems to be taking a new direction and vibe as it travels to San Francisco. This is definitely a plus as it seems that Ubisoft Montreal is taking input from the negative reviews of the first Watch Dogs. The game seems to have a much lighter tone which can only be an improvement. Steep was an interesting way to end the Ubisoft conference. 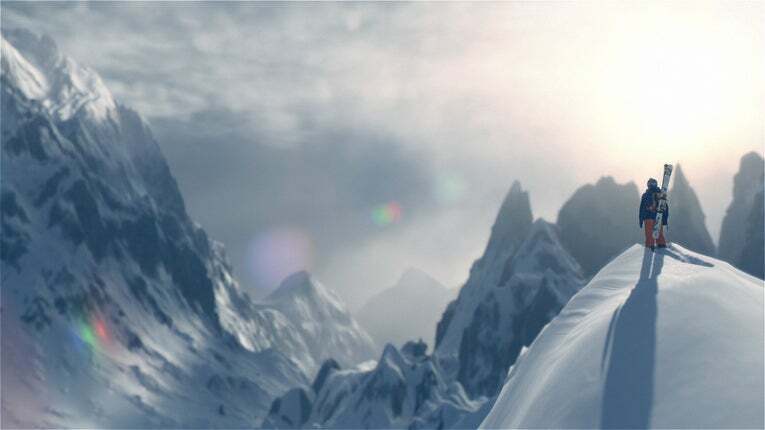 The game looks gorgeous and seems to have a variety of winter sports to play: skiing, snowboarding and even wing suit flying. I couldn’t say that Steep ended the conference on a high point, but it was definitely not a low point. As a whole Ubisoft had its ups and downs like most press conferences at E3 do, but when compared to the other conferences this year it didn’t hold up as well. The event proved that just because a conference is longer, doesn't mean it makes the grade. Ubisoft didn’t totally bomb but they seemed a bit too stretched out over the two hours. There were some epic moments with For Honor and South Park: Fractured but Whole offered up some laughs along with some interesting and fresh new gameplay. For the final grade I’d give the Ubisoft conference a C/C+. Their solid games were undermined by their cheesy over energetic attempts at jokes and multiple low points with a bunch of facts about their games. Do you agree with my evaluation? Any comments or arguments? If so, please leave a comment and stay tuned to GameSkinny for more E3 Evaluations and gaming news. 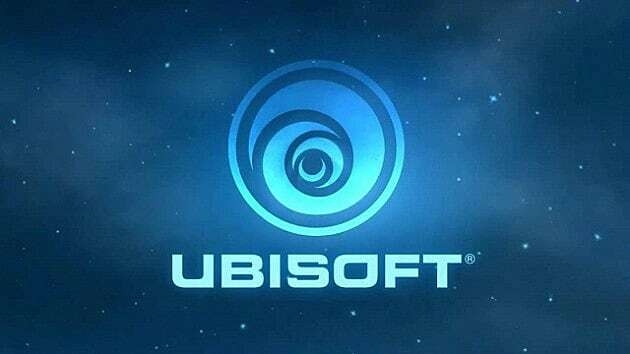 If you haven't seen Ubisoft's press conference you can check it out on YouTube.